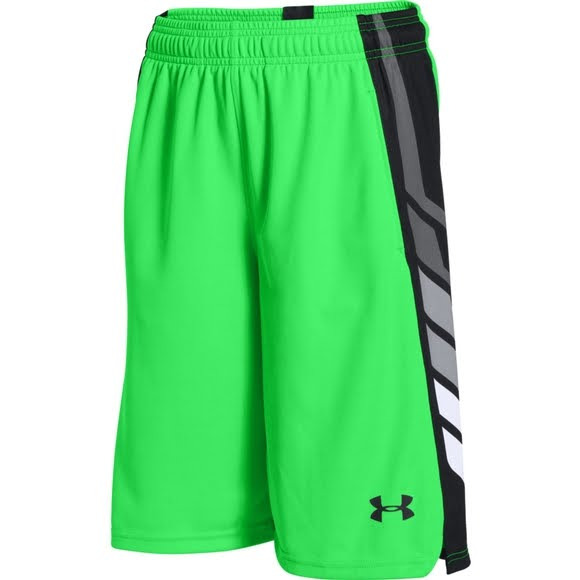 With a loose, fuller cut for complete comfort, the UnderArmour Boy's Youth Select Basketball Short features a textured knit fabric that is tough but breathable. Moisture Transport System technology wicks sweat and dries fast so you keep cool and feel light throughout the game. With a loose, fuller cut for complete comfort, the UnderArmour Boy&apos;s Youth Select Basketball Short features a textured knit fabric that is tough but breathable. Moisture Transport System technology wicks sweat and dries fast so you keep cool and feel light throughout the game.